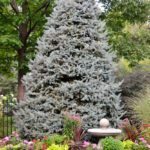 The white spruce (Picea glauca) is one of the most widely growing coniferous trees in North America, with a range all across the eastern United States and Canada, all the way to South Dakota where it is the state tree. It is one of the most popular Christmas tree choices too. It’s very hardy and easy to grow. 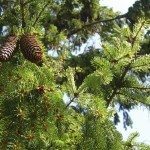 Keep reading to learn more white spruce information, including tips on growing white spruce trees and white spruce tree uses. The most common of white spruce tree uses is Christmas tree farming. Because of their short, stiff needles and evenly spaced branches, they are perfect for ornament hanging. Beyond that, white spruce trees in landscapes are great as natural windbreaks, or in stands of mixed trees. If not cut down for Christmas, the trees will naturally reach a height of 40 to 60 feet with a spread of 10 to 20 feet. The trees are very attractive, keeping their needles all year long and naturally forming a pyramidal shape all the way down to the ground. They are an important shelter and food source for native North American wildlife. Growing white spruce trees in the landscape is very easy and forgiving, as long as your climate is right. The trees are hardy in USDA zones 2 through 6, and are very tough against cold winter weather and wind. 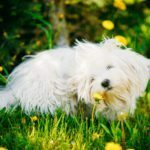 They prefer full sun and do best with at least 6 hours of direct sunlight per day, but they are also very tolerant of shade. They like soil that is slightly acidic and moist but well draining. These trees grow best in loam but will do well in sand and even well-drained clay. They can be started both from seeds and cuttings, and saplings transplant very easily.